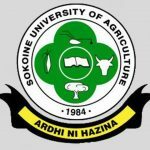 The following applicants have been selected to join various Higher degree programmes offered by Sokoine University of Agriculture (SUA) during 2018/2019 academic year. Applicants who did not indicate contact information (Physical and/or Email addresses) on their application forms should arrange to either: i) visit the Directorate of Postgraduate Studies, Research, Technology Transfer and Consultancy (DPRTC) and collected their Admission letters and Joining instructions or ii) send us their email addresses to: drpgs@sua.ac.tz so that scanned copies of their Admission letters and Joining instructions can be sent to them electronically. Our new academic year will start on 29th October 2018. It is expected that all applicants who intend to pursue their studies at SUA during the 2018/19 academic year should report at the SUA Main Campus located in Morogoro town for Official Registration on 29th October 2018 onwards. Based on our Regulations and Guidelines, the deadline for registration for all Master programmes (Except MPhil) and Postgraduate Diploma shall be on the Friday of the 4th Week of the First Semester which is 23rd November 2018. Postdoctoral, PhD (except taught PhD e.g. ARI) and MPhil students can register for studies anytime throughout the year. Admitted students should come with their original Birth Certificates, Academic Transcripts, Academic certificates and all relevant credentials which will be verified during registration. Those who are employed SHOULD also process and bring with them an official letter as evidence of their study leave/permission from their current employers. Candidates who have secured sponsorship support should come with the commitment letters from their sponsors or else pay university fees before allowed to register for studies. University fee can be paid in full or in four instalments (i.e. every after three months). No student shall be allowed to register prior to payment of fees or without submission of a letter of commitment from their sponsors. We are looking forward to seeing you soon at SUA, Karibu sana (you are warmly welcome)!